Whilst at camp, I decided that I wanted to travel with a company after camp had ended. It would be a good way to see multiple destinations and do a variety of adventures, and it also meant that I would simply be able to get on a bus each morning and be driven to our next destination and accommodation without having to organise it all myself! I decided to go with a company called Trek America, on a tour which would last two weeks and would show me Eastern USA. This morning, the adventure officially began! We started our trip from a hotel in New Jersey. It’s a great location as it’s right next to the airport, so if you’re travelling to America specifically for this trip, it’s incredibly convenient. Getting there from New York wasn’t much of a hassle either, as a bus from Port Authority stopped literally just down the street. There are 11 of us in my group, two boys and nine girls (plus the tour guide) ranging in age from 19 to 34, so quite a varied group! We introduced ourselves, loaded the trailer, and set off! 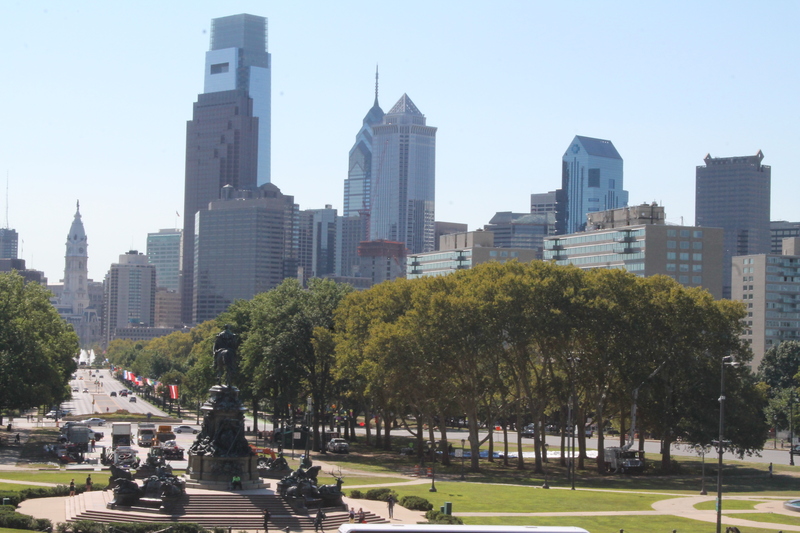 Our first stop was Philadelphia. 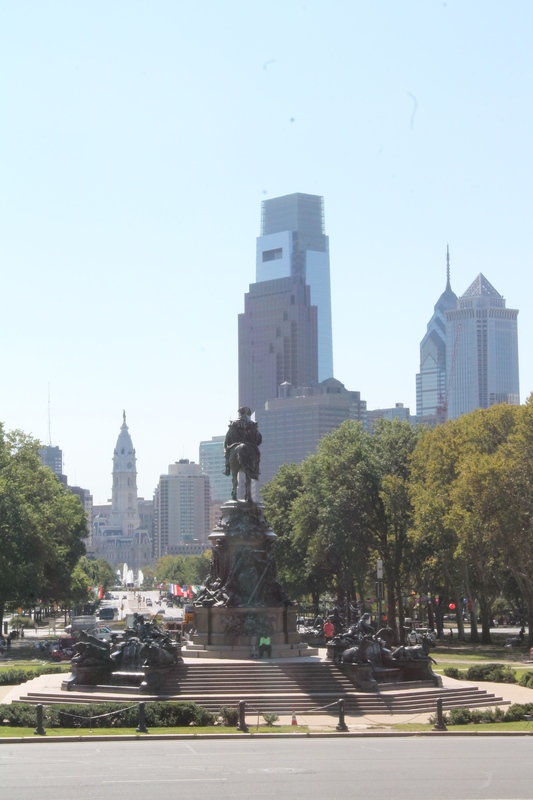 Less than 90 miles away from New York, this city was one the capital of America until the end of the Revolutionary War in 1790 when it moved to Washington DC. The city was once the second largest in the British Empire, superseded only by London itself. It was also one of the main locations during the War of Independence in opposition of British rule. Sadly we didn’t get to see much of the city. I would have loved to have gone to see the Liberty Bell (the existence of which, I have to admit, I only know because of the movie National Treasure). 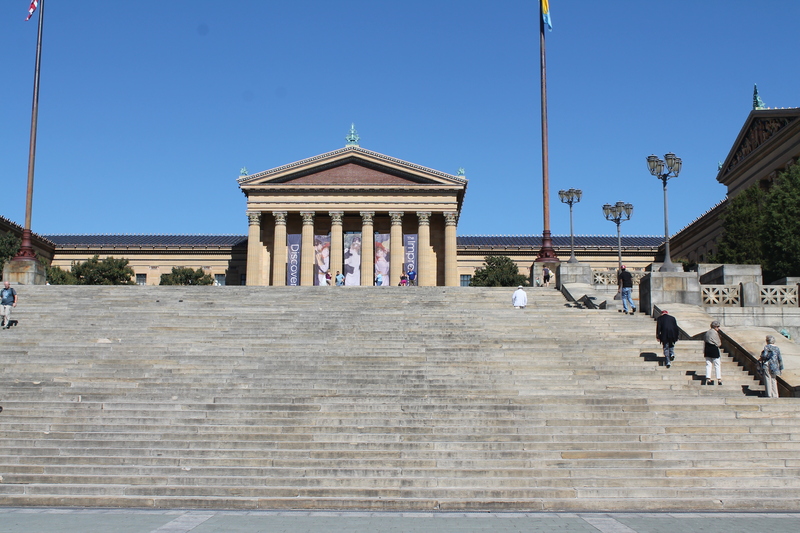 We go to go to see the location of the famous Rocky steps, which can actually be found in front of the Philadelphia Museum of Art. The 72 stone steps are not only a good tourist attraction, but are also used by people as the location for their workout. We were very impressed by one woman who ran up and down the steps half a dozen times just in the time that we were watching her – whilst most of us struggled climbing them just once! 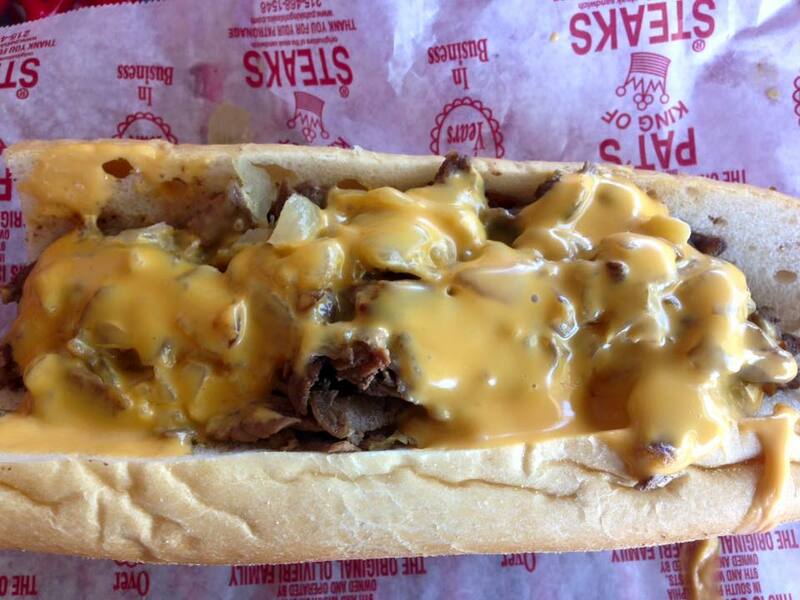 We then experienced a traditional dish from Philadelphia – the steak and cheese sandwich, or the cheese steak as it’s known. It sounds like a strange combination of ingredients I know, but it was actually really delicious. Apparently the dish was created in the 1930s by two Italian brothers, Harry and Pat Oliveri. The brothers traditionally sold hot dogs and sandwiches on the street, but one day created this dish for themselves for lunch, when one brother suggested the other go buy some beef. A customer, impressed by how good it smelled, demanded the unusual sandwich for himself and, tasting it, suggested that the brothers should sell it. And thus the new meal was born! 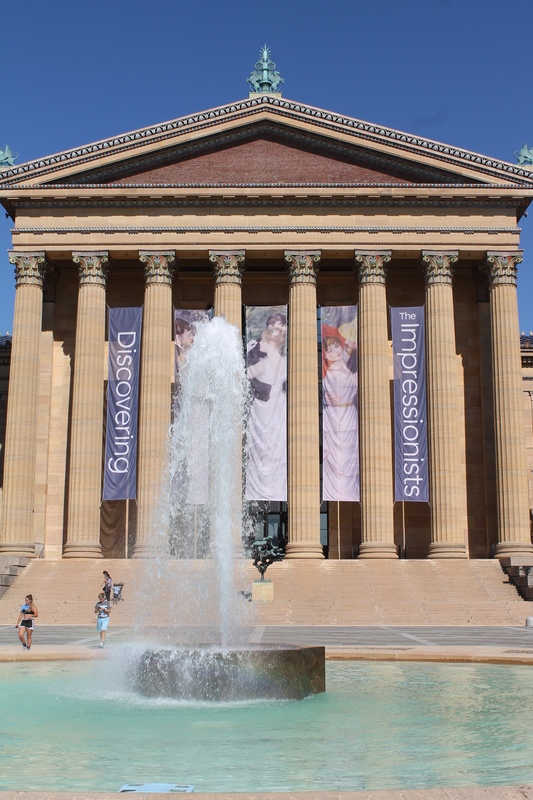 Sadly that was all we had time for in Philadelphia. The phrase ‘short but sweet’ comes to mind! It seemed like a really interesting place though, and somewhere I would love to go back and explore properly. Next Next post: Washington DC!